Having grown up in a Chinese family with a vegetarian grandmother, I eat soy foods almost every day! I was invited by SOYJOY to give a presentation on various ways of adding whole soy foods to your diet at the American Dietetic Association Annual Conference held last month in San Diego. During that presentation, I shared my grandma’s homemade soy milk recipe, which I often drink hot. Afterwards, a few attendants walked up and asked me to post my recipe on my website. Certainly, I’d love to! Soak soybeans in cold water overnight. Drain water the next day. Scoop 1 cup of soaked soybeans into a blender, then add 3 cups of cold water. Start blending until no visible bean residue is seen. Pour the mixture into a big pot. Continue blending the rest of the soybeans, using the same 3:1 water-to-soybean ratio. Boil the mixture for 15 to 20 minutes. It will turn frothy – this is okay. Add a vanilla bean or brown sugar for flavoring after 15 minutes of boiling. Strain the final soy milk with cheesecloth. Serve hot or chill to serve cold. Grandma always said the key to yummy homemade soy milk is the water, so she often used distilled water instead of tap. Grandma often boiled the soy milk mixture beyond 20 minutes. This will create a stronger tasting soy milk. Grandma usually used brown rock sugar instead of powdered sugar. Rock sugar is commonly used in Chinese desserts. If you can find rock sugar in your Asian grocery store, give it a try! 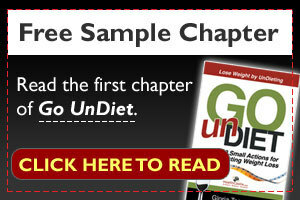 In my new book, Go UnDiet, I discuss the difference between whole soy foods and soy ingredients in detail. In a nutshell, to reap the health benefits of soy, choose non-GMO whole soy foods, or packaged foods that clearly list whole soybeans on the ingredient list. Ingredients like soy protein isolate and soy protein concentrate are not the same; the beneficial isoflavones are removed during processing.